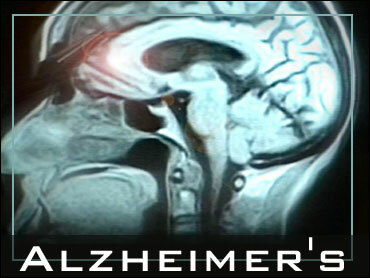 New numbers illustrate the mounting toll of Alzheimer's disease. In its second annual statistical report, the =http://www.alz.org/index.asp>Alzheimer's Association projects that 10 million baby boomers will suffer from the disease. That's one person out of every eight born from 1946 to 1964, The Early Show medical contributor Dr. Emily Senay pointed out Tuesday. It is, she observes, actually the flip side of a very positive medical development: Fewer people are dying from heart disease, stroke and conditions such as breast and prostate cancer. If you avoid those illnesses, or beat them through successful treatment, you still have to die eventually of something. And the older people get, the greater the chance they'll develop, and possibly die from, Alzheimer's. One aspect of the report says that, if they live to age 55, women are nearly twice as likely to develop Alzheimer's as men. The report's authors say that's also age-related. When researchers measure the risk of developing Alzheimer's at any particular age, men and women show no real difference, Senay notes. But to the extent that they outlive men, women are considered more likely to develop the Alzheimer's. The report talks not only about people who suffer from Alzheimer's, but those who care for them. To see the report itself, click here. Unfortunately, says Senay, the numbers show what a terrible burden caring for a friend or loved one with Alzheimer's can be. The report cites a study that says about a-third of caregivers say their services have been needed for five years or more. A-third see developing symptoms of depression in themselves. And of those who are employed when the process of care-giving begins, two thirds say they need show up for work late, leave early, or take time off because of the care-giving. One-person-in-12 says it forced him or her to turn down a promotion. Both the emotional strain and the financial sacrifice of caring for an Alzheimer's patient can be staggering, Senay says, and that impact, too, will rise as the number of Alzheimer's cases continues to. On a potentially brighter note, the Alzheimer's Association says we may start getting real answers over the next few months about whether there are any significant treatments coming. The most promising working theory on the origins of Alzheimer's involves the formation of a plaque called beta amyloid in people's brains. Several medications intended to attack beta amyloid or prevent it from forming in the first place are now the focus of advanced clinical trials. If those drugs have a meaningful effect on the mental functioning of patients, the association says it will be the first time we can actually change the course of the disease itself, rather than just treating symptoms. One day, someone found to be at high risk of developing Alzheimer's might be able to start using these drugs long before any symptoms occur. Of course, if the results of those trials are disappointing, the theory that beta amyloid actually causes Alzheimer's could collapse. It might mean that the plaque is actually a by-product of Alzheimer's, as opposed to a cause. And that would be a significant setback in the hunt for effective treatments.